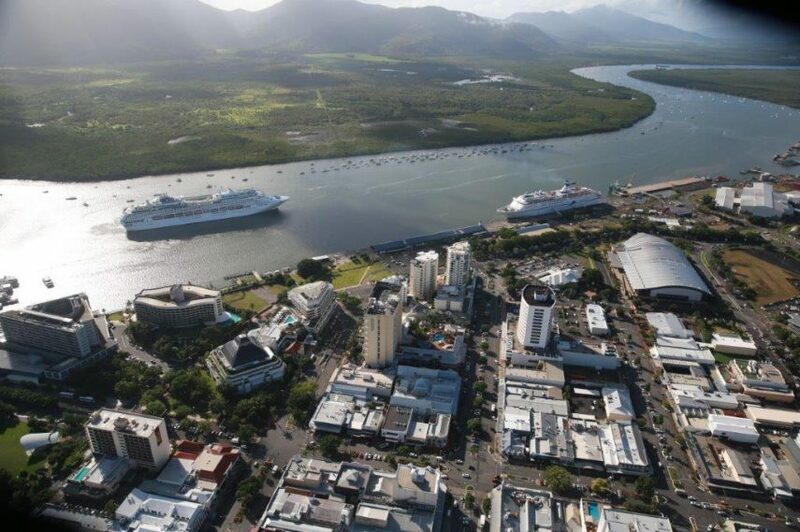 Infrastructure work on the Cairns Shipping Development Project is set to get under way after an Operational Works Permit was granted by the Cairns Regional Council. The Shipping Development Standing Committee provided its final approval for the long-awaited project and Mayor Bob Manning said all approvals for the construction of pipes and pumps to support dredging operations had now been granted. “The approvals are in place for all of the infrastructure that is needed for dredging to occur,” Cr Manning said. “That includes the pump-out facility at Yorkeys Knob and an 8km pipeline to the storage facility on the Barron Delta. Cr Manning said the CSDP was identified in the Cairns 2050 Shared Vision. “When completed, it will enable ships of up to 300 metres in length to dock at our port,” he said. “That opens up a range of new opportunities to tap further into the cruising industry and will allow for future expansion of HMAS Cairns.